In the earliest pictures Jill Lampman has of her older daughter, Elena's hair is short and choppy. There are dark circles under her eyes. When Elena's kindergarten teacher sent home her first assignment , to bring in a baby photo for the bulletin board , Jill knew she had to tell the teacher her child's story. Elena had spent her first three years in a Romanian orphanage. "The first pictures I have of her," Jill says, "are not something I would want to share." 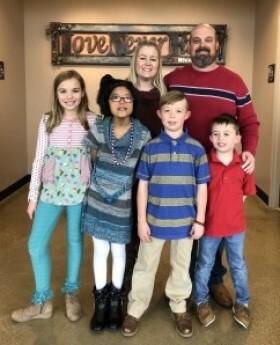 For families like the Lampmans of Vancouver, Wash., speaking up about adoption is not only a matter of pride, it is also often a necessity. Too frequently, say many, those most closely involved with adoption , adoptees, adoptive parents and birth parents , must debunk misconceptions and false assumptions. It's not that people generally view adoption negatively. In fact, according to a 2002 study by the Dave Thomas Foundation for Adoption, almost two-thirds of Americans view adoption "very favorably," a figure that has risen steadily in recent years. 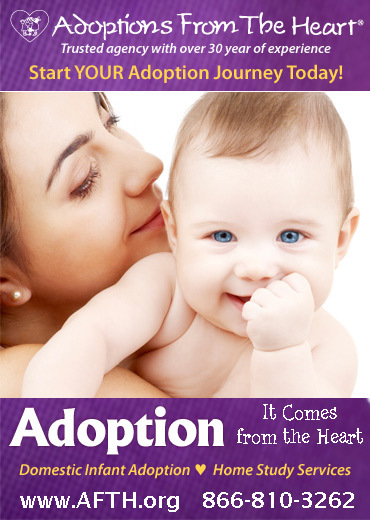 "Now adoption is seen as cause for celebration," says executive director Rita Soronen. But, experts and advocates note, the "coming out" of adoptive families in recent years has not yet produced a corresponding increase in public understanding of adoption issues. Because adoptive children face some different developmental concerns than their non-adoptive peers, and these concerns affect what happens in the classroom, educators are among the people for whom an accurate understanding of adoption is most important. In particular, teachers need to understand that certain lessons and assignments can affect adoptive and non-adoptive children very differently. "But guess what? Johnny feels faced with divided loyalties , he has to say who his 'real' family is. And his little brain is bursting. He just can't do it." For Josh Barrett, a 19-year-old adoptee from Nashville, Ind., the elementary and middle school years were the most difficult. Adopted from foster care as a 7-year-old, Josh remembers "lots of assignments I couldn't do , things like asking my grandparents for information about our family heritage or bringing a baby picture for show-and-tell. And it wasn't just that I couldn't do them. I couldn't really explain why, either, without going into a lot of history that I didn't want to go into." Nor are the obvious assignments , such as family trees and genetic pedigrees, in which students trace a heritable trait through members of their family , the only ones that cause problems. Teachers may unknowingly broach a wide range of subjects in ways that can be alienating to students who were adopted. 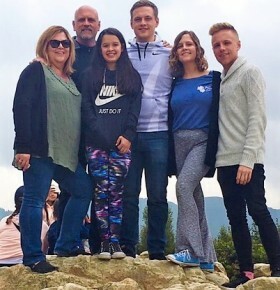 "In high school health class, there may be no mention of adoption as a way to plan families," says Pat Johnston, who was an Indiana high school teacher before becoming an adoption educator and publisher. "Or adoption may be presented as a negative outcome. In psychology class, for example, adoption may come up as a problem situation." Johnston says that her own children, whom she adopted, often "found themselves steaming quietly or placed in the position of having to defend their family and how it was formed." And Josh Barrett, whose pre-adoption history includes being abused, says the topic of child abuse should be handled with care as well. "I heard it in psych class and in health class all the time: 'Kids who are abused grow up to abuse their own kids,' as though it was a given. For a long time I thought I would grow up to be an abuser. It wasn't until I was halfway through high school that I figured out that I had a choice in the matter." Knowledge and understanding are keys to creating an atmosphere of inclusion for adoptive students. Being aware that adoptive students may well be hurt by a classmate's comment, "I don't see how anyone could 'abandon' a baby for someone else to raise," can prompt a teacher to provide a fuller, more realistic picture of adoption as a responsible and loving option. Similarly, choice is often the key to creating assignments that work well for all children regardless of how they joined their families. A high school genetic pedigree assignment can offer students the choice of tracing a trait through any group of genetically related people , or examining the heritable traits of plants or animals. An autobiography assignment, potentially difficult for students who have periods in their life about which they may not wish to talk, can be transformed by allowing students to focus on a particular chapter of their life. And that tough old chestnut, the family tree , which, after all, has never lent itself well to the rich and complex way in which people build their families , can give way to "Circles of Caring" for younger students and, for middle and high school students, family circles or genograms, both of which are more flexible ways of tracing family relationships. It's important, though, that the same assignment choices are offered to all students, says adoptive mother Jill Lampman. 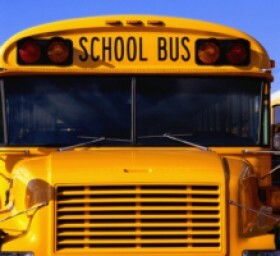 "If you grant exceptions to just one or two adopted students, that singles them out. Assignments should work for everyone." Creating a classroom that includes adoptive and non-adoptive students equally may be the most powerful reason for teachers to become more educated about adoption issues. But what they learn will also serve them well in working with other kinds of family diversity. "Adoption is a wonderful prism through which to view American families today, because adoptive families come in all kinds," says Adam Pertman. 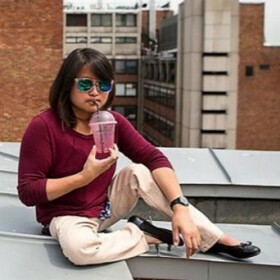 "Single-parent, gay and lesbian, multi-ethnic, blended. In fact, there's only one kind of family that adoptive families are not: the so-called typical family with two parents and their two offspring." 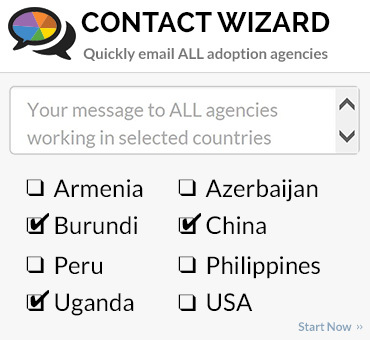 The fact that adoption's history has been veiled in secrecy, and that adoptions go through both public and private channels, has meant that reliable adoption statistics have never been very easy to come by, a fact that is only now starting to change. 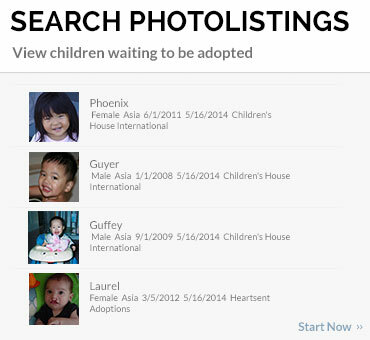 But available information verifies the impression that adoptive families are often diverse in many other ways. Older parents, into their fifties and beyond, for example, may choose adoption as a way to start first or second families, and custodial grandparents or other relatives sometimes also adopt the children they care for, giving them dual roles in children's lives. 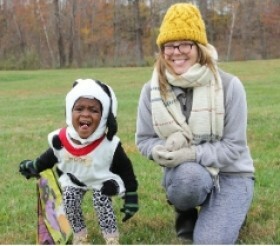 Adoptive families are often multiracial, and the rate of transracial adoption (in which adoptive parents and children are of different races) has doubled in recent years, from less than 8% of all U.S. adoptions in 1987 to more than 15% by 2000.
International adoption has seen enormous growth in the same period, from just over 8,000 U.S. adoptions from abroad in 1989 to more than 20,000 in 2002. International adoption is transracial in more than half of the cases; in almost every case, it involves blending family members of different cultures. Single-parent adoption is on the rise as well. Accounting for 1/3 of all adoptions in 2000, single-parent adoptions are estimated to have more than tripled since the 1980s. They also provide one of the only measures , and certainly an imperfect one , of gay and lesbian adoption, also widely believed to have increased substantially in the last 15 years. 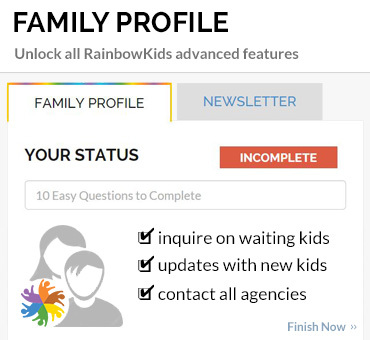 "With the growing demographic of single-parent adoptions, there's an assumption that many gay and lesbian adoptions are included in that number," says Rita Soronen of the Dave Thomas Foundation. National data from the mid-1990s reveal that anywhere from 1 million to 9 million U.S. children have at least one gay parent, figures that many believe to be conservative. But within these numbers, the percentage of children who were adopted by one or both gay parents is unknown. Adoptive parents have tended to be White and in the middle or upper socioeconomic classes, and that remains true. But increasing numbers of African American and Latino parents are using adoption to build families as well. Adoptions from foster care have risen, and these are often initiated by Black and Latino parents, as well as by parents who are not affluent. And step-child adoptions are common across racial groups and socioeconomic classes. The many different kinds of family diversity represented in adoption give adoptive families layers of additional richness and complexity, but these families may still have different needs and concerns than their non-adoptive counterparts. Ruth-Arlene Howe, a law professor at Boston College who has written extensively on transracial adoption, says that parents who form families in this way must also form a new identity for their family , and themselves. When White parents adopt Black children, she says, "They must realize that they are no longer a 'White family.' They need to consciously reconstruct their social circles, their activities, even where they live to acknowledge that fact." 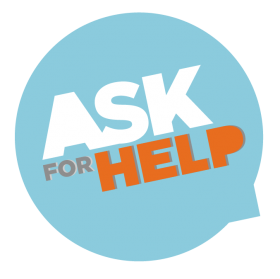 Teachers can help. For example, says Howe, in the case of transracial adoption, teachers can become allies and support systems for students growing up in a culture other than the one into which they were born. "They need to think, for instance, about what kinds of family pictures they put on the wall, to consider whether children will look at those pictures and be able to see themselves there," she says. Understanding children's individual needs and life histories is also important when adoptees reach different stages in dealing with their loss and identity. In elementary school, adoptive children will often experience their first grief over losing birth parents and will begin to understand what adoption is, making them sensitive to negative portrayals of adoption, says Pertman. "Children at this age don't think abstractly. They think concretely. And so when they see a movie in which everyone is laughing at the little bear who was adopted, they see who they are as something to be laughed at." In adolescence, adoptees may experience the tugs and pulls associated with separation into adulthood and thus may become more interested in meeting their birth parents. Transracially adopted teens may wrestle more with their sense of racial identity. For children who have been in foster care, the teen years may mark a period of testing limits and pulling back from relationships, says Rita Soronen. It's important to realize that what might seem like problem behavior in a non-adoptive child can be "understandable, in light of these kids' backgrounds," she adds. "Why would they open up, why would they trust adults, when every relationship they have ever had has been pulled away from them?" 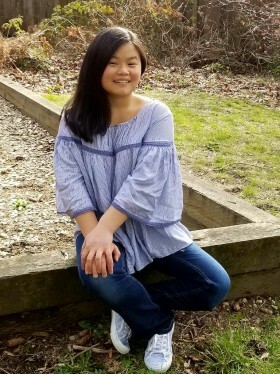 Jenny Pettenger says that school-based adoptee support groups could be helpful, not only by offering adoptees a place to talk and "vent" but also by serving an educational function for schools. Adoption advocate Adam Pertman believes it is only a matter of time before adoption issues are a regular part of an educator's professional development. "Adoption is a train headed in only one direction," he says. "And so is educating people about adoption. I know we'll be there when we all understand that adoption is a fine, legitimate, equal way of forming families." Elizabeth Hunt, Ph.D., is a freelance writer and adoptive mother who lives in South Bend, Ind.